The recruitment company I founded almost 2 years ago specialises in mid to senior level roles in PR, Communications and Marketing. We help clients address their gender pay gap by introducing them to experienced women who have more than 10 years’ experience and want to keep the careers they worked hard to build before having children, but now need some aspect of flexibility. You could say our candidates’ CVs need to work even harder than others, because we are usually competing with candidates from other recruiters who can do the job in an office, 9-5, five days a week. Yet 99% of our candidates get that first interview. There is no magic to it, most of it is common sense. Others reading this will most definitely have alternative views, but this approach seems to work for our candidates and clients. Not just a cursory glance to see if you think you can do the job but, really read that job description. Consider the language the company uses because it will give you an insight into their culture and of course the kind of work you will be doing. If it talks about matrix organisations and stakeholder management then you will need to be comfortable with that kind of organisation and prepared to discuss in the interview, how you get the job done in that kind of complex environment. Most importantly of all, the job description gives you an idea of what you need to put in your CV. Yes! Writing a CV takes a lot of time and effort, but it is the only thing a hiring manager can use to assess your ability to do the job at this point. Of course you can take the scatter gun approach and apply for anything and everything you see but chances are you’ll waste time either chasing jobs that aren’t quite right, or interviewing for roles that you don’t really want. An employer doesn’t want a generalist, they have told you the exact skills they’re looking for in the job description, so use it to your advantage. Even if you get that interview, you’ll be one of around 8 candidates the hiring manager will see at first interview. Imagine just how many CVs the manager or recruiter receives in response to the job advert – you need to make the effort if you want the job. The employer has given you all the clues in the job description – that’s the person they’re looking for. There’s no point in reading the job description, nodding ferociously as you recognise yourself in that description and then sending them a copy of a CV you wrote weeks ago that describes all the generalist skills you have. Obviously don’t cut and paste the job description and don’t invent things you haven’t done. Authenticity and fact are your best friends. And of course a beady eye for proof-reading. Misspelt words and grammatical mistakes won’t get you that interview no matter how relevant your experience is. You have ideally 2 sides of A4 to make that first impression. Don’t be tempted to write reams and reams – if you’ve got some serious experience and find it hard to fit onto two pages then just focus on your last 10 years and cut down what you say about your first job and your passion for comic collecting (unless you’re applying for a job at Comic Collectors Inc). Keep every point you make relevant to the job you’re applying for. With such restricted space, there’s not much point telling them about an achievement in a previous role that’s entirely unrelated to the job you’re applying for today. 1.What was the business challenge you were responsible for? 2.What did you do about it? 3.And what were the measurable outcomes? That’s all you need to convey. Mentioning the size of the company or who you reported to, and phrases like, “Managed a number of major projects” don’t give a hiring manager much to go on. Of course if it’s part of setting context to mention something else relevant to the job then keep it but otherwise be specific and be relevant. “I was responsible for collecting HR data and writing a monthly status report that was read by 250 people in the project who were based in the UK and India,” gives the reader a lot more to go on and gives a clearer idea of what you did. If you’ve had time out for whatever reason, then put it on your CV. Gaps are basically question marks. Hiring managers are too busy doing their day jobs as well as trying to fill this vacancy, so they’re not going to come back and ask you for more information before they make a shortlist of candidates to interview. You may just get cast aside. If you have gaps on your CV it either looks as though you were doing something you don’t want to talk about or worse, that you haven’t even noticed the dates don’t match up. Keep it short, don’t make it sound like paid employment if it wasn’t and add some of the skills you learnt during that time out that are relevant to the job you’re applying for. Thoroughly research the company, yes even at this stage! Look at your network on LinkedIn and see who you know who may be connected in some way to the company or the interviewer. Contact them, explain you’re applying for a role there and ask a few questions. Any additional insight is immensely valuable at this stage. If the company has a new CEO or has just been through a merger/launched a new product – you can mention your own experience of a similar thing in your CV or covering letter (yes, you need a covering letter, more on that in a moment). Use your recruiter! Your recruiter should have been in and met the hiring manager or at least their recruitment team. So ask your recruiter for as much support as you can: what skills are most important to the hiring manager? What the company culture is like? What’s their strategy or key priority for the next few years? And then use all of this to demonstrate your own relevant experience for the role. Have a look at the interviewer on LinkedIn. You never know maybe you went to the same school or worked at the same company - this will not only be an ice breaker at interview but also shows you've taken an interest in them. There are many views on this but mine is quite simply that they are an integral part of the application. It shows that you have taken time to apply for this specific role and have a keen interest in this particular company. You aren’t taking the scatter gun approach mentioned earlier and just fired off a CV to anyone and everyone. Employers want people who want to work for them, not people who just want a job. It is an opportunity to show you’ve read the job description, you’ve researched the company and if there is anything in your CV that’s likely to raise an eyebrow this is your chance to manage the employer’s initial questions on that topic. All of this can set you apart from other candidates. 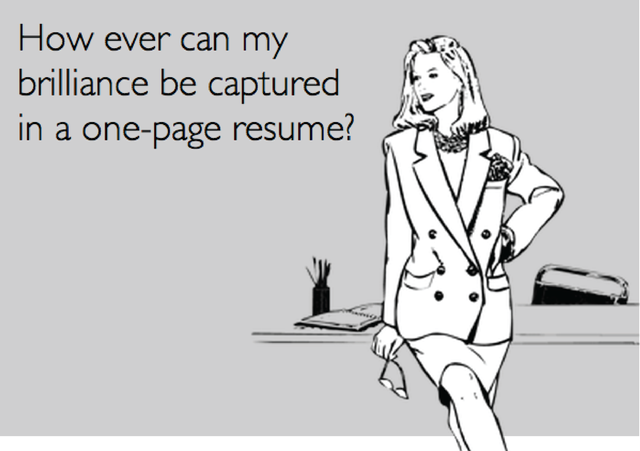 Attach your covering letter as a cover sheet to your CV. If you just put the text in the email and attach your CV, chances are the recruiter or hiring team will just forward on your CV to the manager. I am sorry that I even have to say this but too many employers and recruiters don’t reply to candidates. I’m not talking about when sending in a CV on spec - they get so many that it's hard to get a personalised response, but if you’re applying for a specific role and you’ve gone to this amount of effort then you deserve a response. If you don’t hear back, you probably haven’t been successful but always follow up a job application with an email or a phone call. It is an opportunity to re-state your interest in that particular company (or if you’ve been submitted via a recruiter, talk to the recruiter and see what else they have going), you can ask for feedback which may just give you a tip for the next time round, or on occasion you might find they’ve just had something else come in and you’re there in the right place, at the right time. And remember, you only need one job offer. It’s a numbers game so try and get constructive feedback from each application and each interview, and keep honing and improving. Of course applying for a job is a two way process and this article just looks at what the candidate can do. Perhaps the next article should be some feedback from our candidates for employers….